It was our daughter Krista’s 21st birthday. (It’s hard to believe, I don’t know where the years have gone to). In the past we have treated our kids to a dinner out on their birthdays, but this year we decided to dine in and make a meal of their choice. I like this better and I think the kids have enjoyed it too. When I asked Krista what she would like for her birthday, she suggested Chicken Cordon Bleu. At first I was thinking really, you had to pick something like this, a dish I have never made before, a dish I have never even eaten before. There was going to be nine of us for dinner and I was kind of worried if I could pull it off. But I decided if that was what she wanted I would do my best to make an enjoyable dinner for her. 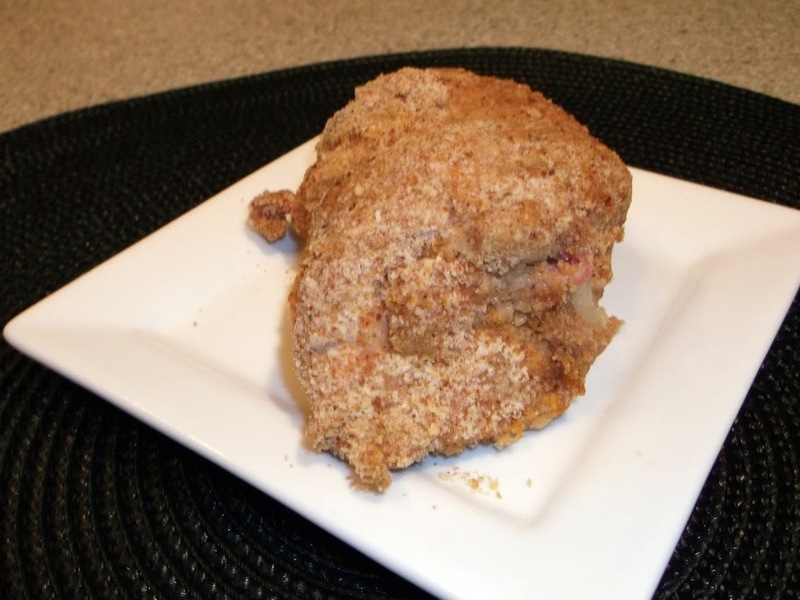 I took a trip to our local library in search of the perfect Chicken Cordon Bleu recipe. That was a failed trip, I didn’t find a recipe that I thought would be tasty and easy to make. So my next step was to go to the Internet, now I was sure I wouldn’t fail at finding the perfect recipe somewhere on the web. 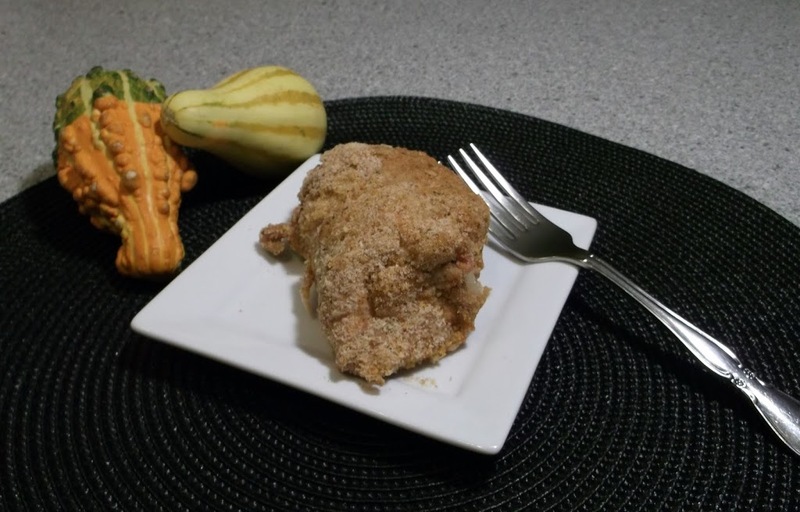 After looking at several websites I came across the perfect recipe at Angie’s Recipes . A Taste Of Home. Her recipe for Chicken Cordon Bleu was perfect. The chicken was full of flavor and not too hard to make. The chicken, ham, cheese and the spices came deliciously together and the flavor made you wanting more. The bread crumbs that you rolled the chicken in gave it a nice little crunchy texture to the outside of the chicken. Over all my family loved it and I am sure we will make this recipe again. Thanks Angie for the perfect recipe. Check out Angie’s Recipes, you will fall in love with her pictures and recipes. 1. Preheat oven to 350 degree oven. Combine chicken broth, melted butter, and garlic in a bowl and set aside. In another bowl combine bread crumbs, Parmesan, and paprika. 2. Place each chicken breast between 2 sheets of plastic wrap and pound to 1/4 inch with a meat mallet or a rolling pin. Sprinkle both sides of chicken with salt, pepper, and oregano. Place cheese and ham on each chicken breast with in 1/2 inch of edge. Tuck in the sides of the breast and roll up tight like a jell roll and secure with toothpick. 3. Dip each roll in chicken broth mixture and dredge in bread crumb mixture. Place roll seam side down in baking dish coated with butter. Pour remaining broth over chicken. Bake 28 minutes or until golden brown. (Note: I used Parmesan instead of the Parmigiano-Reggiano and Swiss cheese instead of Gruyeres that Angie used). The chicken cordon blue looks very tasty! Happy Birthday to Krista! 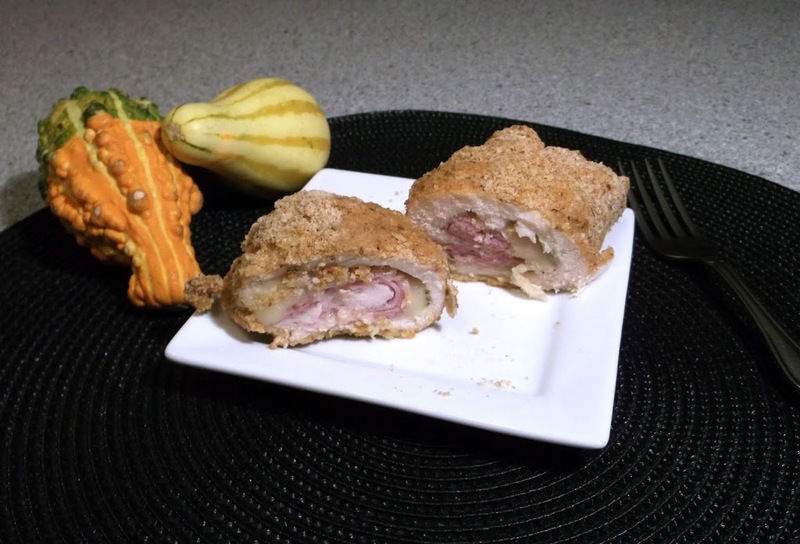 I really need to try making chicken cordon blue… yours looks wonderful. This looks like a fun and delicious recipe.